Department of Life and Earth Sciences, Otterbein College, Westerville, Ohio 43081 USA. The genus Epioblasma is the most endangered genus of North American freshwater mussel. More species in this genus are extinct or listed as endangered by the U.S. Fish and Wildlife Service than any other genus in the family Unionidae. The purple catspaw (Epioblasma obliquata obliquata) was thought to be on the verge of extinction until a population of this mussel was discovered in a small, central Ohio stream in 1995. Since then, the biology of this mussel has been examined: population parameters and habitat characteristics have been determined, and the mussel’s life cycle has been elucidated. These studies have shed light on the biology of this mussel and they have led to a revision of the Recovery Plan for the purple catspaw. Like other members of the genus Epioblasma, the glochidium of E. o. obliquata is depressed-subelliptical with a large, centrally placed adductor muscle. Once successfully attached to a host fish (a darter) the glochidium transforms into a juvenile after which it breaks free from its host and is deposited in swift water. The mussel becomes reproductive during its third year and it is at this point in the life cycle when males and females become segregated in the stream. Female catspaws move up and out of the substrate during glochidial release, they display their marsupial gills and subsequently get displaced. Male mussels were found in deeper, swifter water than female mussels. In addition, male mussels were found in substrates with higher percent concentration of course sediments than female mussels. Mortality increased sharply between ages 13-16 and maximum life expectancy for this mussel was 21 years. Muskrat predation appeared to be a major cause of mortality. The revised Recovery Plan for this subspecies identifies the establishment of new populations, employing glochidial infection of locally collected darters, as the primary recovery task. Unionid mussels from Lake Malawi have been studied from April to July 2000. So far, very little is known about the ecology of African unionids. Some behavioural aspects of the mussels have been studied in the Senga Bay area (southern part of the lake) for about five weeks. The experimental set-up consisted of an aquarium with sediment and water directly from the lake to create nearly natural conditions for the mussels. All three species of the Unionoidea from the lake were available for this experiment, i.e. Mutela alata, Chambardia nyassaensis, and Coelatura nyassaensis. The mussels were placed on the sediment surface and the time for the complete burrowing process and crawling process, including the time for the interval of individual rocking movements, were recorded in detail. In contrast to the crawling process the mussels slow down while burrowing. This is probably because of increasing viscosity and flow resistance of the medium (sand and water). Moreover, after reaching a stable position in the sediment there was no necessity to continue the burrowing process at the same speed. The instability of the habitat is probably the main trigger of crawling. During the experiment mussels only started crawling after removing them from life position. However, other explanations for crawling behaviour must exist, because in their natural environment with relatively stable conditions (18m depth) mussels crawl as well. Nearly all North American freshwater mussels liberate glochidia in specialized packets. These packets are given the broadly-encompassing name ‘conglutinates.’ Optical and scanning electron microscopy has revealed a surprising complexity in these structures, as well as important phylogenetic information. Anodontines release glochidia in mucous structures lacking any layers. These structures may be amorphous, as in most anodontines, or form discrete structures, as in Strophitus. Amblemines release glochidia contained in their original egg membranes. A significant portion of these conglutinates may be composed of unfertilized eggs. Three morphological groups are apparent within the amblemines. Fusconaia conglutinates are loosely held together by the adhesive properties of the egg membranes, which have no tendency to fuse with each other. In Pleurobema and Elliptio the egg membranes are fused to form a more solid conglutinate. In Quadrula the glochidia are embedded in a mucous matrix. Obliquaria and Dromus conglutinates appear to be derived from the fused membrane condition of Pleurobema/Elliptio but have thicker, almost elastic walls. Other lampsilines (Lampsilis, Ligumia, Potamilus) may form very loose conglutinates composed of glochidia with only vestiges of the egg membranes holding them together. Ptychobranchus produces the most complex conglutinates. Anodontine ‘conglutinates’ are morphologically very different from other unionid conglutinate structures, suggesting a distant relationship with other mussel groups. Based on conglutinate morphology, the Mesogenae are extensions of the amblemines and are not related to other lampsilines. The Ptychogenae conglutinates are not similar to any other conglutinate type. Whereas conglutinates of Fusconaia, Pleurobema, and Elliptio are morphologically similar, Quadrula appears distinct. The small bivalves of the freshwater family Sphaeriidae are common members of the benthic community and inhabit a wide range of biotopes from lentic to lotic waters, and permanent to ephemeral habitats (Hornbach et al. 1980). Some special characteristics distinguish them among the freshwater mussels. All are hermaphrodite developing their young in special brood sacs in the inner demibranch of the gills. The relatively short life span and the viviparity of the Sphaeriidae make them very suitable for investigations of reproduction. In this study the population dynamics and reproduction of Musculium lacustre (Müller, 1774) in a mixed community of Sphaeriidae are investigated. Samples were taken approximately every fortnight from February 1999 to November 1999 and monthly from December 1999 to July 2000 in Citadel Pond in Phoenix Park, Dublin, Ireland. The shell length (sl) of every individual of M. lacustre was measured to the nearest 0.1 mm and selected individuals over the whole size range were dissected, the larvae counted, measured and the developmental stage recorded. In spring 1999 no adult M. lacusrte were found but juveniles of 1-2 mm (sl) appeared in high densities. Growth started around April ’99 and first larvae were incubated in the beginning of May. The birth period started at the end of June ’99 when the first newborn appeared in the habitat. Almost all of the adults bred releasing 1-2 broods (exceptionally 3 or 4) over a period of approximately 4 weeks and dying afterwards. Juveniles did not start growth after birth but went into diapause during the winter. M. lacustre is an iteroparous species but produces just one generation for the next year in Ireland’s relatively cool summer. In the hot summers of Hong Kong M. lacustre produces two generations in one year Morton (1985). The influence of different climates on the reproduction strategy of M. lacustre shows a plasticity in the reproduction of Sphaeriidae, which contributes to their cosmopolitan distribution. Morton, Brian: The population dynamics, reproductive strategy and life history tactics of Musculium lacustre ( Bivalvia: Pisidiidae) in Hong Kong. J. Zool, 207, 581-603 (1985). Daniel L. Graf & Diarmaid O’Foighil. The Hyriidae (Mollusca: Bivalvia: Unionoida) have a disjunct distribution, occurring on South America, Australia, and New Zealand. Most previous macroevolutionary studies of the Hyriidae pre-dated widespread acceptance of both continental drift and phylogenetic systematics. For this study, we applied molecular phylogenetic techniques to test the hypothesis that the observed disjunction of Australasian hyriids across the Tasman Sea is due to the disintegration of Gondwanaland (>80 million years ago). We sequenced a fragment of 28S rDNA for representative hyriid Velesunionini (Australia), Hyridellini (Australia and New Zealand), and Hyriinae (South America) and for outgroups belonging to the unionoid families Margaritiferidae and Unionidae. The topology of the single 28S tree [i.e., (Margaritiferidae, Unionidae, (Velesunionini, (Hyridellini, Hyriinae)))] recovered by both maximum parsimony and maximum likelihood did not support a monophyletic Australasian clade, and the branch lengths were consistent with Mesozoic vicariance. We also acquired COI sequences for the Australian subset of mussels to corroborate the 28S branch lengths. Our results suggest that (1) the Hyriidae pre-date the break up of Gondwanaland and (2) the New Zealand Hyridellini are relics rather than colonizers. Alternative long-distance dispersal hypotheses are discussed in the context of our results, historical geology, and mussel life history. An ecological energetics enigma – unionid mussels in the River Thames. University of Reading and Freshwater Biological Association. Unionid mussels have been studied in the River Thames at Reading. They make up the largest biomass among the invertebrates and, although their production/biomass ratio is relatively low, they have a considerable annual production. It proved difficult to determine their food source and what fed on them, making it impossible to place them accurately in an energy flow chart of the ecosystem. University of Cambridge, Department of Zoology, Downing Street, Cambridge CB2 3EJ. There are five species of unionid musels in Britain: Anodonta cygnea, Anodonta anatina, Unio pictorum, Unio tumidus and Pseudanodonta complanata. Britain holds an internationally important population of P. complanata and the British distribution of this species has been reduced by approximately 30% over the last century. The most significant threat to unionids in Britain is poor river management. Dredging occurs approximately every 10 years and can remove 20% of the unionid population. Sometimes an entire population can be lost. Weed cutting happens yearly and removes 2-5% of the population. Mussels are found at greatest densities in the marginal zones of rivers. Therefore, the impacts of river management on mussels can be reduced greatly while retaining the management function by leaving marginal zones of the river bed unmanaged. The Identification Key is the result of a co-operation between the Natural History Museums of Stockholm and Göteborg and the University of Linkoping. It will identify the eight species of large freshwater mussels known from Sweden: Dresissena polymorpha (Zebra mussel), Anodonta anatina (Duck mussel), Pseudanodonta complanata (Compressed river mussel), Anodonta cygnea (Swan mussel), Unio pictorum (Painter´s mussel), Unio tumidus (Swollen river mussel), Unio crassus (Thick shelled river mussel) and Margaritifera margaritifera (Freshwater pearl mussel). The Identification Key is produced as a tool for identification of large freshwater mussels to species level. It is based on photos showing the appearance and characters of typical shells of the eight species. By following the colour codes in the Key corresponding to the specific characters, it is possible to proceed and identify the specimen concerned. The Identification Key also deals with local variation in shell morphology, variation related to different age of the mussel, and the risk of confusion between U. crassus and M. margaritifera. Scotland is a major European stronghold for the freshwater pearl mussel, Margaritifera margaritifera. The species is fully protected under the Wildlife and Countryside Act 1981 and is also included in Annexes IIa and V of the EC Habitats Directive and he priority list of the UK Biodiverstiy Action Plan (UKBAP). Despite this protection a national survey of 178 rivers in 1998 and 2000 has shown a serious decline in the status of the population in recent years. Virginia Cooperative Fish and Wildlife Research Unit, Department of Fisheries and Wildlife Sciences, Virginia Polytechnic Institute and State University, Blacksburg, VA 24061-0321 U.S.A. The Tennessee River system in the southeastern United States encompasses a drainage area of 104,000 km2, with 102 native freshwater mussel taxa recorded in the twentieth century. The construction of dams beginning in the 1930’s, water pollution, coal mining, and a plethora of subsequent anthropogenic activities have lead to significant degradation of habitat quality and losses of fauna. At least 30 species are extinct or extirpated from the river system, and another 25 species are in danger of extinction. The federal Endangered Species Act in 1973 provided a legal means to identify species in danger of extinction and to recover the 69 freshwater mussel species currently listed as federally endangered or threatened. As a result of life history studies, development of aquaculture techniques, and research on the early life history of juvenile mussels, a prototype facility was constructed at Virginia Tech to produce, culture, and release juveniles of endangered species. Presently, juveniles are being released to augment natural reproduction at sites where population densities are low, and at sites of historic occurrence in those rivers. Between 1998 and 2000, the facility has produced, cultured, and released nearly 246,000 endangered juveniles of 8 species into 4 rivers in southwest Virginia and eastern Tennessee. With the eventual preparation of a mussel culture manual, further refinements in culture techniques, and the inclusion of fish hatchery facilities for grow-out of juveniles, I anticipate the expansion of propagation efforts to surrounding states and additional river systems throughout the eastern United States. In river systems where mussel populations are severely depleted or on the verge of extinction, stock restoration is the only option for species conservation. Three options present themselves: 1) Transfer of stocks from rivers with healthy populations; 2) intensive cultivation to produce large numbers of juveniles for use in restocking programmes; 3) extensive cultivation by releasing large numbers of host fish infected with glochidia. Although the first option has been used in Finland and elsewhere, success has been variable. Where mussels have been transferred within the same river system over 90% survival of transferred individuals has been achieved in some cases. Where mussels were transferred between river systems, survival of transferred individuals fell to 50% or less (Valovirta, 1998). Consequently, it is not considered appropriate for regions with few mussel populations because of the associated risks of depleting healthy populations and the possibility of introducing stocks that are not genetically appropriate to the new conditions. Systems are currently available for the second option of intensive cultivation but these are at present largely empirical and need improvement and scientific validation. Although the third option is relatively cheap and potentially widely applicable, its impact on mussel recruitment will be difficult to assess because of the high mortality levels of pre- and post- excystment glochidia and has not yet been measured. This presentation describes ‘proof of concept’ trials carried out in collaboration with the Ballinderry fish hatchery in Northern Ireland. These trials involved releasing brown trout infected with M. margaritifera glochidia into large tanks containing different sediments and fed by natural river water. Preliminary data indicate that small numbers of juvenile pearl mussels can be recovered from such a system. The vertical migration patterns of eight freshwater mussel species were studied in outdoor, unheated enclosures. Individual experiments lasted from nine to 20 months. Three times per week mussels were observed to determine what percentage of the population was buried in the substrate. Results indicated that the mussels displayed two patterns of seasonal vertical migration. In both patterns populations of a species surfaced during spawning in spring and eventually reburied in autumn. These activities coincided with increasing spring water temperatures and decreasing autumn water temperatures, as well as increasing and decreasing durations of daylight. One group of mussels displayed a unimodal annual pattern, in which most of the population surfaced in the spring and remained there until autumn. The second group displayed a bimodal pattern in which the population reburied itself after emerging in spring but immediately resurfaced, where it remained until autumn. We have not been able to identify this second emergence with any biological function. Patterns did not necessarily follow generic or subfamilial lines and were remarkably synchronized. Since the beginning of the 1990’s researchers from the Northern European countries (Denmark, Finland, Norway and Sweden) have been co-operating in a supranational EIS-project: to map the geographical distribution of large freshwater mussels. During the project all available museum material has been revised taxonomically and the extensive literature data has been evaluated. For the mapping, a UTM map with modified 50 x 50 km squares has been used. Such maps facilitate the mapping of large areas such as Northern Europe (approximately 1 300 000 km2). Parallelly a national mapping project is carried out in Sweden. In this project the distribution of the species is showed more in detail, with traditional “dot-maps”. The compilation of a complete bibliography for the large freshwater mussels in Sweden is a part of this project. The fauna of freshwater mussels in the North European countries comprises 32 species: 24 species of “small mussels” (fam. Sphaeridae) belonging to the genera Pisidium (20 species), Musculium (1 species) and Sphaerium (3 species). The rather heterogeneous group “large mussels” comprises 8 species belonging to the following families and genera: Dreissenidae (Dreissena – 1 species), Margaritiferidae (Margaritifera – 1 species) and Unionidae (Unio – 3 species, Anodonta – 3 species, Pseudanodonta – 1 species). All 8 large species are found in Sweden. Of these Margaritifera margaritifera and Anodonta anatina have a throughout distribution. The former species, however, has large distribution gaps in areas where clay sediments are dominating and in the most oligotrophic woodland districts. Unio pictorum, Unio tumidus, Anodonta cygnea and Pseudanodonta complanata all have their northern limit close to the “Limes norrlandicus”. This is an important zoogeographic border area in Middle Sweden, forming the transition between the northern boreal and the south Scandinavian biogeographical regions. Unio crassus is the rarest (and most endangered) of the Swedish species. It has several small, isolated distribution areas in southern and eastern Sweden. Dreissena polymorpha was first recorded in the country in 1926. It has spread very slowly, and is possibly on the edge of its climatological endurance. So far it has only been found in the water systems of the lakes Mälaren and Hjälmaren in Middle Sweden. Margaritifera auricularia was described by Spengler in 1793. Since then, several populations have been found in localities of Western Europe and North Africa, but no living specimens have been reported in the scientific literature since 1917. The “discovery” of a population of more than 2,000 specimens in the Canal Imperial de Aragón and of a smaller population in the lower Ebro river, both in Spain, allowed us to design a macro study of the species in order to understand its biology and to stablish a recovery plan for the species. 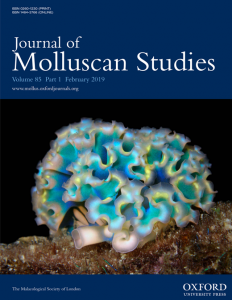 The results of this study cover not only the laboratory experiments in which several host fish species were used (metamorphosis was successful using Acipenser baeri and Blennius = Salaria fluviatilis), but also proposed strategies for Margaritifera habitat protection.